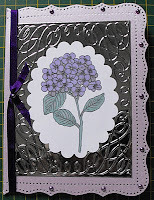 This Hydrangea was a freebie digi image last week over at DZ Doodles, so thought I would post the card I made with it. 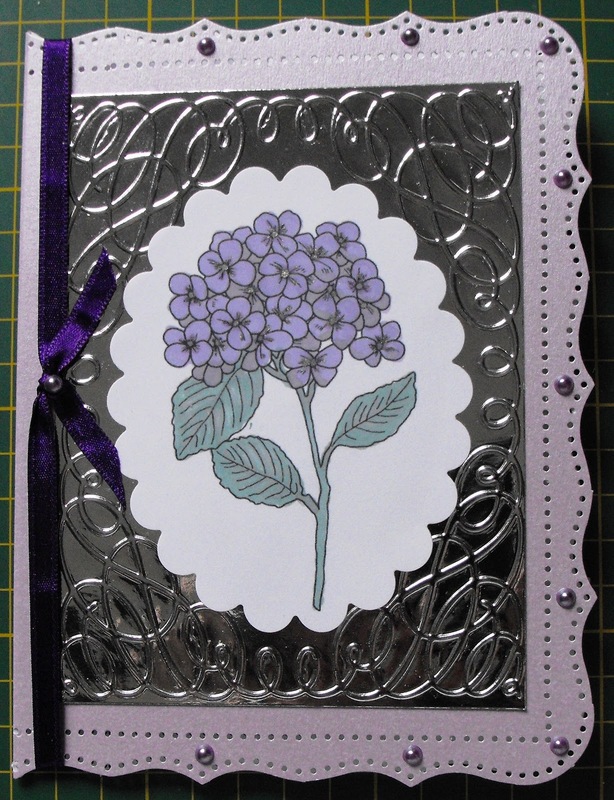 I coloured it with Promarkers, cut it with my spellbinder die, layered on to some silver mirri which I had embossed, the base card is Centura Pearl cut around the edges with an MS punch , all finished off with some purple ribbon and pearls. Gorgeous Wendy, fab colouring and I love the composition. Hope you applied to be a GDT. Such a lovely card. Love all the shapes and the embossing. You've really showcased the image. Thanks for joining us this week at DZ Doodles, and hopefully we'll see you again next time! Gorgeous, love the image, so pretty. Thanks for joining us at SFC, good lcuk. Oh, that's a very pretty card. Thanks for taking part at I ♥ Promarkers this week. A fab card. Thanks for joining us this week at I ♥ Promarkers. Beautiful! Thanks for entering in our challenge at the House of Gilli.